First Ascent Climbing and Fitness is a locally grown, world class, community-focused climbing gym in Chicago, IL that opened in September 2015. Dedicated to serving their community through the sport of climbing along with a host of fitness amenities and programs for all ages and ability levels. First Ascent Climbing and Fitness is among a new breed of climbing gyms offering everything under one roof to serve their communities' climbing needs along with fitness training amenities. 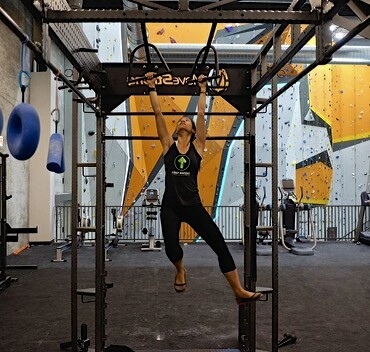 The facility combines world class sport climbing, bouldering, and youth climb training along with a dedicated fitness area for those seeking to improve upon strength and conditioning needs for climbing and functional fitness. Classes such as youth climb strength training, Yoga, and Private personal training are a few of the programs avilable. "Climbers in the city have needed a gym like this for years. We are thrilled to introduce First Ascent - a gym dedicated to climbers new and experienced - built from the ground up with the collective power and support of Chicago climbers. Thanks to all of you who made First Ascent possible.